I was asked to put together a gift bag of goodies for a raffle for our local moms' group, and this project is a part of that gift. When we moved across the country to the SF Bay area, I didn't know anyone. I found the moms' group by chance, I can't even begin to describe what a huge impact it has has had on my life here. My kids and I have made great friends, and I value the sense of community that the group provides. So yeah, I was excited to put together a gift that just celebrates moms and this great club. 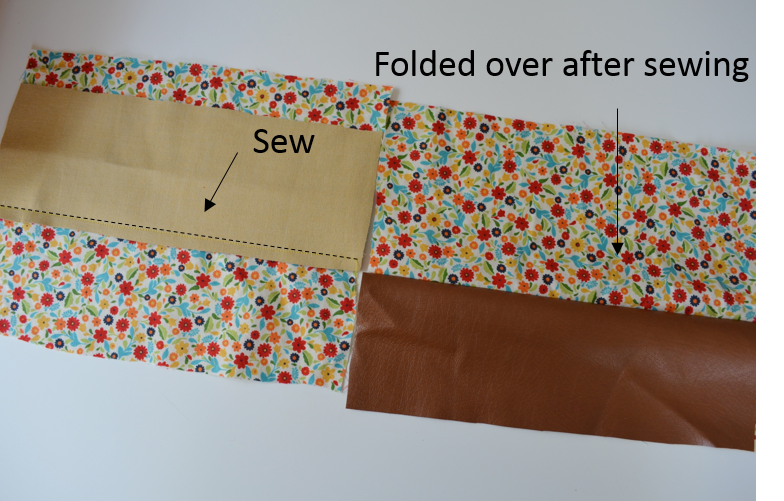 Zippered vinyl pouches are easy gifts to put together, and the web is full of tutorials for how to make zippered pouches. I wanted to dress the pouch up a bit though, and I thought some vinyl might just do the trick. There are so many options now for vinyl! You can find it in the upholstery section of your fabric store, and you might be surprised at how much it can look like real leather. The problem with vinyl is that it sticks, making it super hard to sew. You can add scotch tape to the bottom of your foot to make it easier, but to make this pouch I didn't even have to do that. 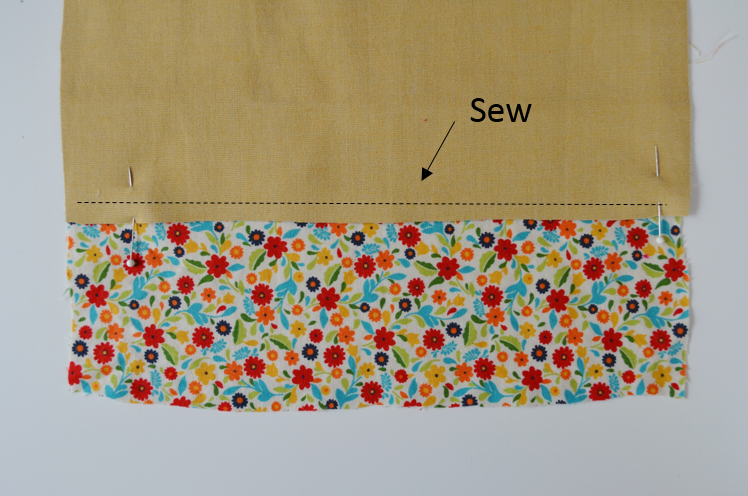 The "trick" is just to sew the reverse side! 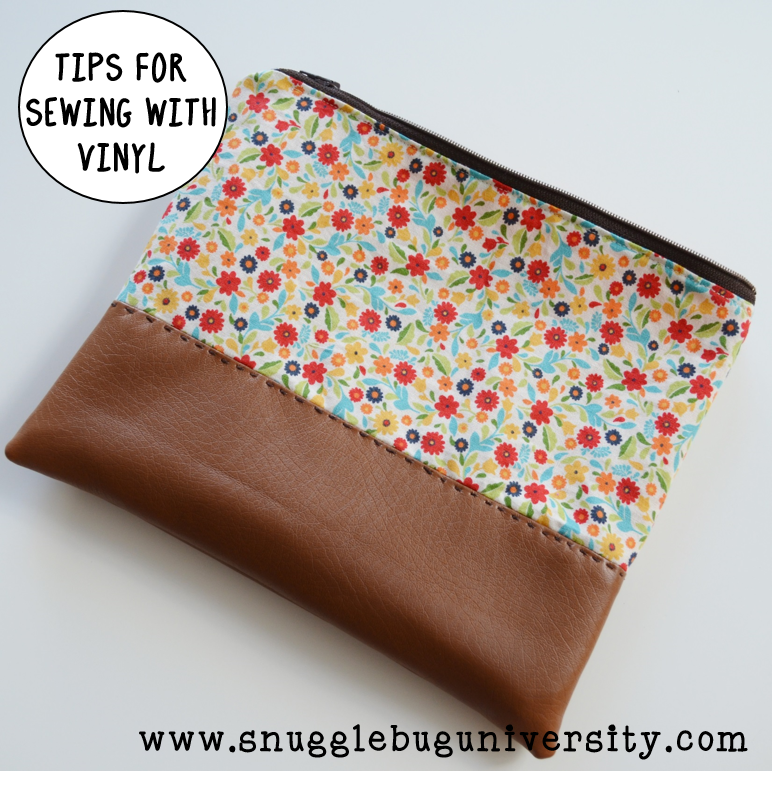 I hope this trick makes you a little more encouraged to start sewing with vinyl! Then, because I wanted a really chunky looking stitch, I used hand sewing thread to make a nice looking topstitch. and I really love how the brown vinyl complements the pretty floral fabric (I found it at Joanns, a while back). 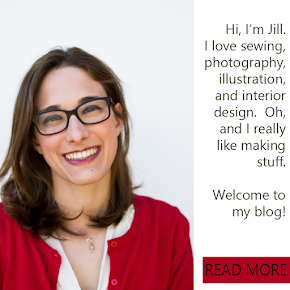 I hope you enjoyed a little peak inside what I've been working on! (And don't worry, I'm still working on my next pattern...and making good progress!) I'll be back here blogging some more soon! I love the finished item, it looks great. I really like the hand-sewn topstitch detail. When I discovered the scotch tape trick a few years back I went vinyl and oil cloth crazy, what a difference it makes. Agreed! It's so much fun to feel these types of fabric are approachable! Thanks for the kind words!